This site was originally known as the "Jammie Seay House" when it was acquired by the Association. 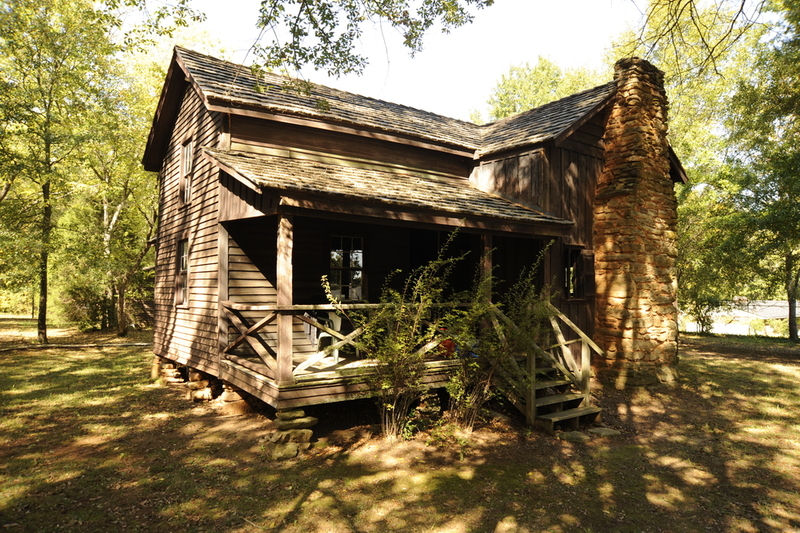 However, when more in-depth research was conducted, it became known simply as the Seay House. The earliest individual who can be directly tied to the house is not James (Jammie) Seay, but rather Kinsman Seay, the eldest son of Jammie Seay. Kinsman was born September 17, 1784, and died February 1, 1883. There is documentation that indicates Kinsman and his descendants were associated with this house until about 1969. James Seay, born in Virginia in 1750 and a Revolutionary War soldier, migrated to South Carolina. The first land transaction bearing his name was in 1784 when he received a grant of 200 acres near Fairforest Creek. Jammie Seay died in 1843, aged 93, and was buried at St. Timothy's Chapel in what is now the Arkwright Community. He was accorded the full military honors due a patriot veteran of the Revolution. Although court records are sketchy, a newspaper obituary suggests that at one time Jammie Seay owned as much as 500 acres of land south and west of the Spartanburg Courthouse. In his old age, there is the possibility that he divided the tract among his children and lived with his son, Kinsman, in the Seay House. Although the home place was certainly modest, Kinsman Seay was respected in the village and a founder of Central Methodist Church. As late as the 1890's Kinsman's unmarried daughters still lived in the house and maintained the family ties to Central Methodist Church. Did your ancestors live at Seay House? Join our Descendants Newsletter HERE!